The third edition of India Business Law Journal’s list of India’s top lawyers sees little change in the rankings of the most established and respected names in private practice. Yet, with 13 additions the list points to some churn within the Indian legal market that, unlike in several other jurisdictions, is dominated by personalities. Law firms in India are yet to build overall consistency and possibly the clout of their counterparts in more developed jurisdictions. 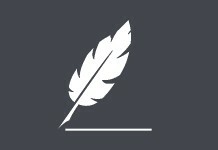 Clients typically seek out individual lawyers. A seasoned in-house lawyer at a financial and investment advisory company whom we spoke to refers to them as “tried and tested partners” who can be trusted to advise on areas of work that “can be a bit complicated and often need continuity in thought processes”. He says: “even within the same practice area at reputed law firms, there is sometimes a considerable gulf in quality among individual partners” and he “prefers to rely on individual lawyers rather than law firms”. The large number of comments sent with nominations for India Business Law Journal’s A-List of the top 100 lawyers in India suggest that it is the extra, sometimes intangible, qualities that set the most sought after lawyers apart. So, what does it take to be one of India’s top lawyers? “A remarkable ability and willingness to learn” about the client and its ambitions in India is what sets Vineet Aneja apart, according to Michael Lewis, executive chairman of Riverston Group, which owns and operates schools in the UK. Aneja, who is a partner at Classis Law, is applauded for being “always available to respond to our stream of questions as to how Indian business is conducted from a legal perspective”. An ability to remain “very motivated to find solutions and be creative when things get bumpy,” are what particularly impressed Dietmar Thiele, a managing director at Network Corporate Finance, about Rabindra Jhunjhunwala, a partner at Khaitan & Co.
“His visibility with senior counsel and judiciary is noticeable,” says Navin Jain, head of taxation – direct tax at Vedanta, of Sachit Jolly, a partner at DMD Advocates. Jolly, who is a new addition to the list and also one of the youngest, is applauded for his ability to “add a lot of value on issues being litigated on direct taxes” and for “getting desired results”. 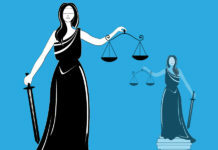 A unique ability to spot potential antitrust concerns within companies operating in opaque regulatory environments is what differentiates Nisha Kaur Uberoi, a partner at Trilegal, according to Rangam Sharma, in-house counsel, Guild Capital. Sharma describes Uberoi as “one of the very few competition lawyers who understands the implications of the Indian competition laws in complex technical markets”. Mukesh Butani at BMR Legal, meanwhile, is singled out for being “a trustworthy voice in a complex environment” by Robert Jan van Vliet, regional head of tax at Swedish clothing company H&M. Many have the requisite legal expertise and experience, but few stand out. See here for the list of 100 lawyers and the key practice areas for which they are endorsed. As in previous years, the overwhelming majority of A-List lawyers practise in Mumbai and Delhi, which is where the regulators and government ministries that oversee investment are located. 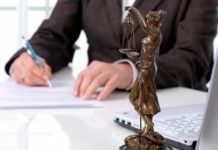 Included in the list are lawyers both at India’s full-service firms and those that provide services in niche areas such as intellectual property (IP) rights. While many of the lawyers are at the country’s more high-profile firms, several are at less recognizable firms. Cyril Shroff, managing partner of India’s largest law firm, Cyril Amarchand Mangaldas, is – as is to be expected – also one of India’s top lawyers. Pointing to the “respect he has garnered globally”, an international lawyer who has worked alongside him says he is “an inspiration” and a “visionary”. Pravin Anand, managing partner of IP specialist Anand and Anand, is recognized as “an amazing lawyer who judges respect and rely on” by Michael Moore, assistant general counsel at toy manufacturer Mattel in the US. Zia Mody, managing partner of one of India’s top full-service law firms AZB & Partners, is described somewhat colourfully by Paras Shah, a Nairobi-based partner at Bowmans, as “a human lawyer dynamo” who while maintaining her calm under pressure also has “the sting of a bee”. Meanwhile, Richard Gubbins at Ashurst says Mody is his “go to” lawyer for complicated matters, especially in “bet the company” situations. Several partners at Shardul Amarchand Mangaldas & Co also receive strong praise from clients and international peers. “My ‘go to’ lawyer for litigation and arbitration matters,” is how Gubbins at Ashurst describes Pallavi Shroff, while Shardul Shroff is described by Shawn McReynolds, the managing partner of Davies Ward Phillips & Vineberg in Canada, as “a very skilled and able lawyer”. V Lakshmikumaran, managing partner of Lakshmikumaran and Sridharan, is commended for his legal knowledge and his understanding of his client’s business and his “court room skill” by DD Goyal, executive director finance at Maruti Suzuki India. Goyal adds that the company has assigned all its excise and service tax related litigation cases to him and his firm and has so far “got almost 95%-96% success”. Suhail Nathani, managing partner of Economic Laws Practice, is recognized for his “expertise in capital and securities laws and bankruptcy proceedings” by Shailesh Jain at BSE’s legal department. Meanwhile, Sujjain Talwar, a partner at the same firm, receives praise from Sumit Sharma at New Silk Route for his “unique ability to resolve conflict amid any set of negotiations”. Sandip Bhagat, partner at S&R Associates, provides “top class work in capital markets area” according to PM Devaiah, partner and general counsel at Everstone Capital. Shwetasree Majumder, founding partner of Fidus Law Chambers, has impressed Cecelia Emanuelson, IP counsel at worldwide IKEA franchisor Inter IKEA Systems with her “knowledge, responsiveness and her commercial attitude, which assists us to find pragmatic solutions in a country where we are lacking knowledge ourselves”. Jomarie Fredericks, chief IP counsel at Rotary International, similarly describes Majumder as “responsive, proactive, knowledgeable and savvy” and says she is “seen as an innovator and a definitive voice” in IP rights worldwide. According to John Cole, a partner at KPMG in the US, Akil Hirani, managing partner of Majmudar & Partners, is not just an excellent lawyer but also a skilled businessman. “This professional depth is reflected in the practical legal guidance he provides that always keeps a strong focus on our commercial objectives”. 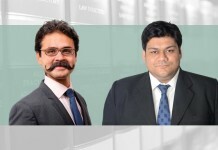 Having assisted Apollo International, part of the Apollo Tyres Group, in “one of the most complicated and complex transactions”, Manoj Kumar, managing partner of Hammurabi and Solomon, is regarded by the company’s group general counsel Pramendra Tomar as “among the best advisers for mergers and acquisition in the country”. Thomas Williams, a London-based barrister and partner at Womble Bond Dickinson, describes Anirudh Krishnan, founding partner of AK Law Chambers in Chennai, as an “exceptional lawyer of the highest intellect and integrity”. Sentiments echoed by Baiju Vasani, a London-based partner at Jones Day, who applauds Krishnan, for being “highly experienced, sharp, creative problem solver”. Rajiv Khanna, a partner at law firm and lobbyist Buchanan Ingersoll & Rooney, describes Vishal Gandhi at Gandhi & Associates as “an excellent lawyer” who is “very knowledgeable, thorough and diligent”. “In negotiations he is like a bulldog,” says Khanna. Amrit Jiwan, general counsel and director at Canon India, appreciates Sujit Ghosh at Advaita Legal for his “excellent knowledge of indirect tax matters”. Ghosh’s colleague Atul Dua similarly receives applause for his “versatility”. Yusuf Hamied, chairman of pharmaceutical giant Cipla, is all praise for Abhijit Joshi, managing partner of Veritas Legal, who he describes as an “invaluable asset to a client”. Hamied says Joshi has “an uncanny ability to anticipate issues, think outside the legal framework and find solutions to problems”. Eric Deltour, a partner at Dechert in Belgium, echoes these sentiments when he says Joshi’s “business acumen coupled with his high technical legal skills have enabled him to be one of the best lawyers in the country”. 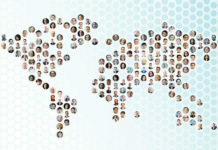 International clients in particular value lawyers who can guide them through the legal and regulatory challenges of India. Instilling confidence and hand holding clients as need be is valued greatly. Rukshad Davar, a partner at Majmudar and Partners, is applauded for his “cross international knowledge and responsiveness” which was crucial for the Indian subsidiary of US-based McGill Engineering “getting started on the right track” according to William Fitzsimmons, a director at McGill Engineering India. “We were not well versed in the legal requirements for starting a company in India, Rukshad and his team have been a valuable resource for us,” says Fitzsimmons. Aliff Fazelbhoy at ALMT Legal is lauded for his “timely, appropriate, thought through advice” by Atsushi Kobayashi, CEO of Daiwa Portfolio Advisory India. “His approach to transactions is very pragmatic and he certainly gets things done,” says an international lawyer of Ajay Bahl, a co-founder and Delhi-based senior partner at AZB & Associates. 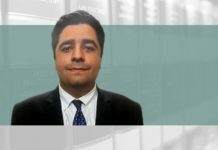 Lalit Bhasin, managing partner of Bhasin & Co, is commended for his “great connections” and “excellent network” by Ulrich Bäumer, a partner at Osborne Clarke in Germany. Rosario Zaccà, a Milan-based partner at Gianni Origoni Grippo Cappelli & Partners, says Akshay Chudasama, managing partner of Shardul Amarchand Mangaldas & Co’s Mumbai office, is energetic and has “great experience”. Meanwhile, another international lawyer says the A-lister crucially “understands relationships with law firms outside India and manages them extremely well”. While individual lawyers are sought after, our research suggests that clients value lawyers who have the ability to build strong teams around them. Just as important and valued are the lawyers who know their way around the corridors of power and who have their ears to the ground. Reasonable rates can also draw in the clients. 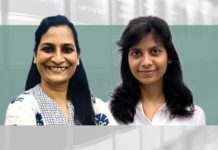 Dhruv Singh, senior manager and head of legal at Penguin Random House India, says he is very grateful for “vital counsel” provided in “a timely manner” by Ashima Obhan, a partner at Obhan and Associates, and her team. Obhan, he says has advised on a wide range of issues that affect the publishing industry including issues around sedition, defamation and hurting of religious sentiments. Ancy Jacob De, senior manager (legal and compliance) at Petronet LNG, commends Abhishek Saxena, a partner at Phoenix Legal, for his “professional approach” deep industry knowledge and also “reasonable rates”. Poornima Hatti, a disputes resolution partner at Samvad Partners, is “very hardworking and bold”, according to KK Sastry, general counsel at IL&FS Engineering and Construction. 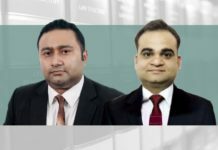 Rajiv Gupta, a Singapore-based partner at Latham & Watkins, describes Prashant Gupta, national practice head for capital markets at Shardul Amarchand Mangaldas & Co, as the “topmost capital markets lawyer for India”. Rahul Matthan, a partner at Trilegal, is described as a “brilliant lawyer who is very savvy on technology, IP and privacy matters” by Anees Ahmed, president of Bangalore-based system engineering and product design company Mistral Solutions. Mohit Saraf, senior partner at L&L Partners, is meanwhile reputed for his “transactional cross-border expertise” as Babita Ambekar, head of India practice at Duane Morris & Selvam points out. L&L’s Manan Lahoty, a capital markets expert, is lauded for his expertise and for remaining calm under pressure. 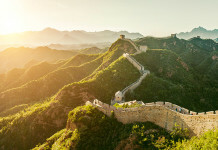 Atul Sharma, managing partner at Link Legal India Law Services, is described as “an expert in the infrastructure space”, by Alasdair Steele, a partner and head of equity capital markets at CMS in London, whose practice has a particular focus on the infrastructure and technology sectors. Sara Allswede, counsel at Dow Chemical, is all praise for Shiraz Patodia, a partner at Dua Associates whom she says “gives excellent legal advice in a timely manner and delivers results”. Govindu Madhusudhana, senior vice president legal at real estate developer RMZ Corporation, commends Bengaluru-based partner Reeba Chacko at Cyril Amarchand Mangaldas, for her “efficient and timely advice”. Testimonials from satisfied clients such as these are invaluable in cementing the status of many of these lawyers. The A-List is based on extensive research conducted by India Business Law Journal. For this, we turned to thousands of in-house counsel in India and around the world, as well as India-focused partners at international law firms, and asked them to nominate private-practice lawyers (excluding senior counsel) for this list of India’s top 100 lawyers. Nominations were received from professionals at a wide range of Indian and international companies, law firms and other organizations, including: ACC Cement; Aditya Birla; ANI Technologies; Apollo Tyres; ArcelorMittal; Ashurst; Bayer; Bechtel; Beijing Jincheng Tonda & Neal Law Firm; Bharti Airtel; BNP Paribas; Boeing; Bombay Stock Exchange; BP; British Airways; Cadila Healthcare; Cairn Energy; Canon; Castrol; Caterpillar; Deloitte; DHL; Diageo; DLA Piper; DLF; Dorsey & Whitney; Ferring Pharmaceuticals; Fertilizer Corporation of India; Financial Times; Ford; Go Airlines; Godrej & Boyce; Havells; HCL Technologies; Interglobe Aviation; Invesco; Lodha Group; Lufthansa; Mahindra & Mahindra; Mori Hamada & Matsumoto; Morrison & Foerster; Reliance Industries; Samsung; Sequoia Capital; Softbank; Sony Pictures; Tata Chemicals; Tech Mahindra; Toyota; Verizon; Volvo; Western Union; White & Case; Yahoo; ZTE Telecom, and hundreds more. The names and photographs of all 100 A-List lawyers are published here. In addition, each A-List lawyer was given the opportunity to include their biography and contact details, for which a publishing fee was charged. 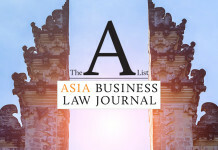 It is important to note that while the compilation of the A-List was based solely on independent editorial research, the biographies and contact details that appear alongside many of the listings have been written by the participating lawyers and the content has not been independently verified by India Business Law Journal. Well! I just went through the A -list . Impressive . Seems like some of them could be sponsored ! Thank you for your comment. The compilation of the A-List was based solely on independent editorial research and it was not possible for any lawyer to sponsor themselves to appear on the list. Once our editorial research was completed and the final list was determined, each A-List lawyer was given the opportunity to include their biography and contact details, for which a publishing fee was charged.